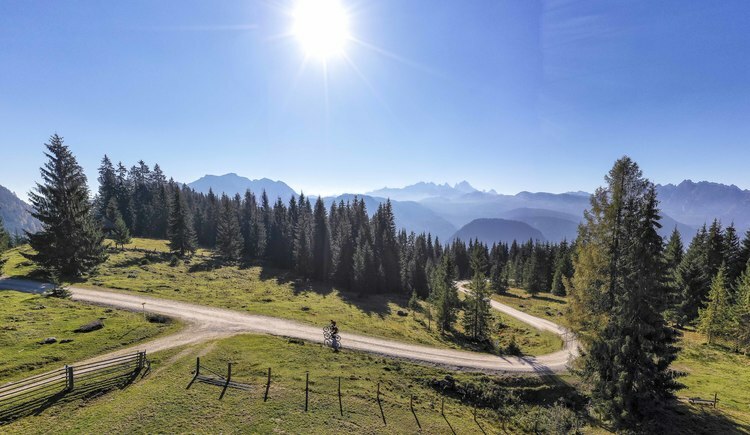 From the picturesque Gosau, this mountain bike trail leads to the heights of the Iglmoosalm. Under the tunnels the gravel of the forest roads crunches - a rewarding excursion into the impressive mountains around Gosau with extrafeiner refreshments in the Iglmoosalm. 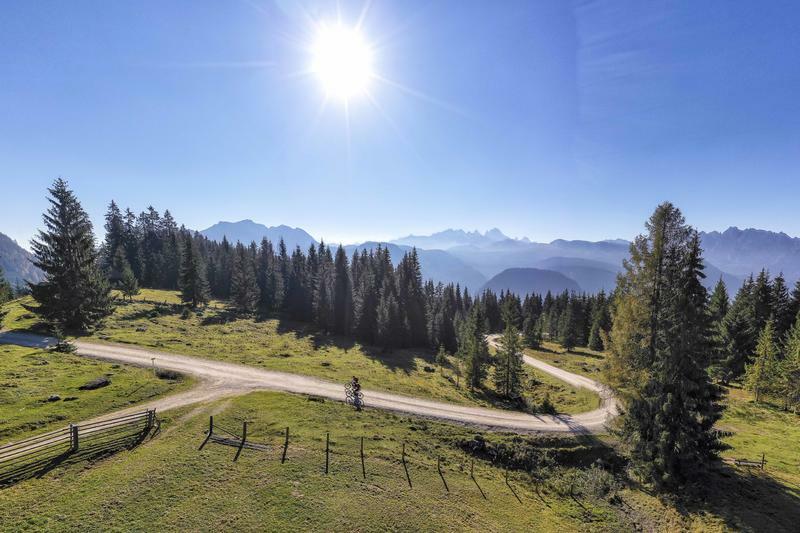 Why do you actually come to mountain biking in the Dachstein Salzkammergut? 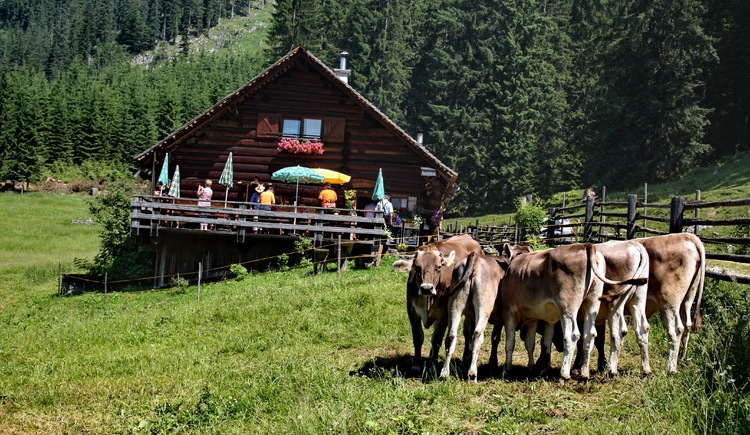 If you still have not found out, try the self-experiment on the mountain bike tour Iglmoos Runde. The mountain bike trail leads mostly through the forest, but then when the forest clears in the higher regions, one is overturned by a fantastic view. What will not be revealed! The destination, the Iglmoosalm with its terrace, overlooking a unique mountain panorama, is a real powerhouse. And not only because there is a really delicious home-made Kaiserschmarren with Maria in the hut! Start: Tourist Information in Gosau - We leave from opposite the post office uphill, past the Gosau indoor pool to the cemetery. Turn right and follow the old road to the Pass Gschütt B 166. After about 2 km turn right uphill on the gravelled forest road towards Iglmoosalm. After a short climb we turn at 3.8 km along the forest road Wegscheid, which just leads initially to a fork. Here to total 4 km turn left uphill towards Iglmoosalm from which we reach after another 2.4 km away. Here we go even a little further uphill to the reversal point. (A ban sign announcing the end of the route at) We go back down to Iglmoosalm, then continue 2 km, then turn left and follow the downhill leading forest road. 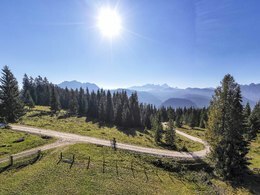 The route takes a sharp right downhill towards Gosau back in the district Ramsau. After passing the list we now keep us on the asphalt road right up to the main road, turn left and after 20m turn right again. So we roll on towards wooden bridge that crosses the Gosaubach, follow after crossing the narrow road to the right and turn left at the Vital Hotel again right from the starting point back. From Bad Goisern/Hallstatt at the highway B 166 to Gosau, straight ahead at the cross Pass-Gschütt. After about 20 meters, the tourist office is on the left side of the street. There the tour starts. This tour is, depending on the weather, drivable from June till October. 1. 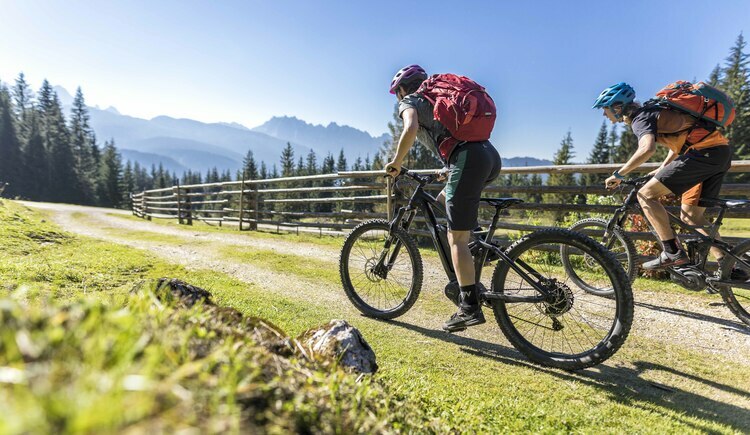 The tours presented for hiking, walking, biking and road biking, mountain biking, motorbiking, horseback riding, climbing, cross-country skiing, and going on skiing and snowshoe tours etc. are to be considered non-paid tour recommendations and only serve as non-binding information. We have no intention of concluding a contract with the users of this website. The utilisation of the data does not lead to the establishment of a contract with us. The data may only be used for private use; any commercial use is prohibited. In particular, it is not permissible to offer the data on commercially run websites, file-sharing platforms etc. or to use it to develop commercial products. Downloading data does not imply that users are granted rights to the data concerned. The tour recommendations posted were created with utmost care; nevertheless, we assume no liability for the correctness and completeness of the information. We point out that neither the tour recommendations included on this website nor the associated data and information were posted by us, but rather by third parties (Art. 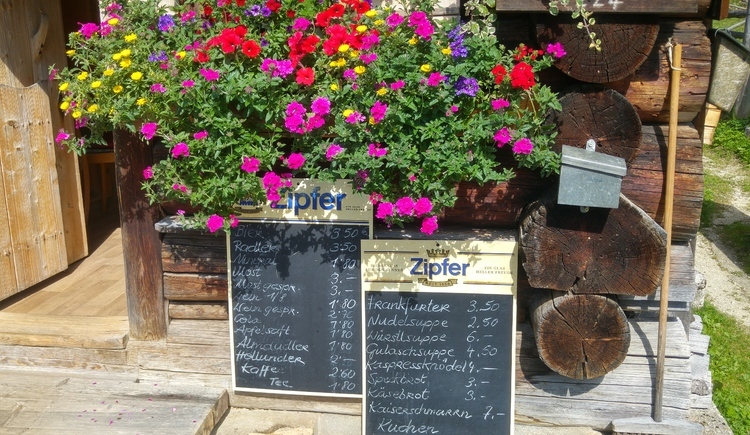 16 Austrian E-Commerce Act). We have no influence on whether the details provided (e.g. distance, level of difficulty, change in altitude, description etc.) are authentic, correct and complete. We do not review these third-party contents. For this reason, we assume no liability for the authenticity, correctness and completeness of the information. Construction-related measures or other influences (e.g. landslides and similar occurrences) can lead to temporary or permanent changes in a route (e.g. loss of a bridge and similar occurrences). Such occurrences can lead to part of the route or the entire route becoming impassable. The use of the data as well as undertaking (riding, walking, taking etc.) the recommended tours or using the network of paths occurs at users’ own risk and on their authority. In particular, users themselves are responsible for the choice of route, outdoor orientation, adherence to traffic rules, supplies and equipment for tours listed in Point 1 (e.g. bicycle etc. ), wearing a helmet, estimating their own fitness, recognising dangers and maintaining an appropriate velocity. We exclude ourselves from any liability whatsoever for damages, in particular accidents, that occur whilst taking part in the recommended tours. 2.Some of the tours lead over roads with normal traffic conditions. Please observe that there is an increased risk which can be avoided by means of appropriate attention and proper estimation and implementation of one’s own abilities. For this reason, please travel a route that is unfamiliar to you slowly and with special care. Pay constant attention to potential dangers and always observe traffic. Do not leave the routes featured in descriptions. The potential use of private roads, in particular forestry roads and agricultural transport roads, can be subject to legal restrictions, which must be observed and adhered to. The normal traffic rules apply. Each user (e.g. biker, motorbiker) is responsible for adhering to these rules and maintaining his/her bike/vehicle and its equipment (lights, brakes etc.) in good working order. Each user is also responsible for ensuring that he/she rides at a velocity that is appropriate for the conditions and his/her skill level and for maintaining sufficient distance to the rider in front. We explicitly recommend adjusting velocity to correspond to the respective field of vision, wearing a helmet, using reflective clothing (or similar) and employing bicycle lights in line with regulations. 3.Each tour requires good physical fitness as well as detailed planning. We explicitly recommend only taking the tours in the case of optimal healthiness. We recommend that you conclude an accident and liability insurance policy. Use an onboard computer that displays the respective kilometres travelled per day and is calibrated for the front wheel. 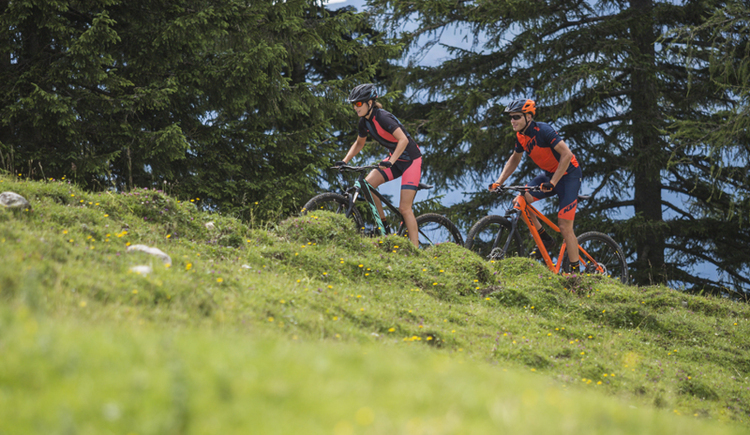 Mountain biking is one of the most wonderful outdoor leisure-time activities. 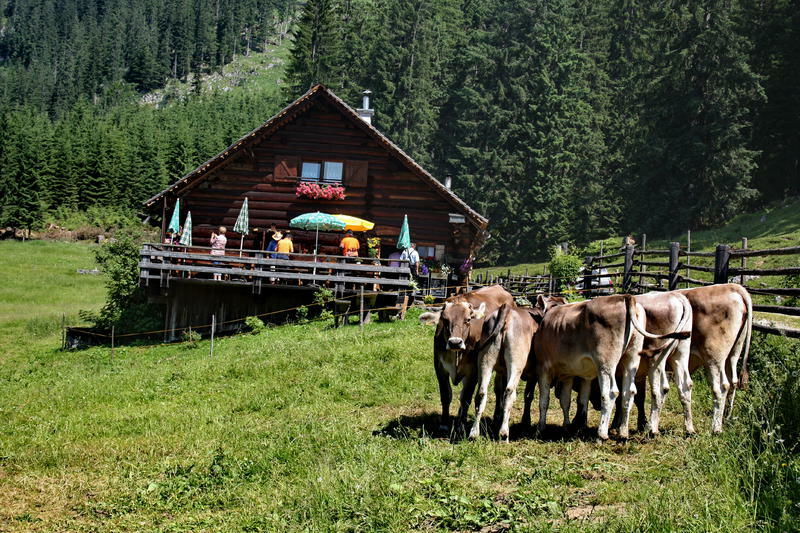 Whilst biking or on a mountain biking tour, mountains and lakes, meadows and cabins are re-discovered in new ways. A couple of rules for fair play in the forest help to avoid conflicts whilst mountain biking. a.Pedestrians have the right of way: We are accommodating and friendly to pedestrians and hikers. Upon encountering these fellow travellers, we alert them by using the bicycle bell and slowly overtake them. We avoid paths with heavy pedestrian traffic altogether. Take nature into account: We do not leave refuse behind. b.The braking distance should be half of the total distance visible: We ride at a controlled pace, are ready to brake and maintain a braking distance half as long as the total distance visible, especially in curves, because we always have to count on obstacles on the path. Damage to the path, stones, branches, wood piles, grazing livestock, cattle grids, barriers, tractor-type forestry machines and authorised vehicles pose dangers that we need to be ready for. c.Don’t drink and drive! : Do not drink alcohol when mountain biking. Take care at stop-off points (dealing with bike racks, dirty shoes or clothing). It is obligatory to provide first aid! d.Marked routes, closed paths and blockades: Keep to the marked routes, observe the blockades and accept that these roads are primarily for agricultural and forestry use! Blockades can often not be avoided and are in your own interest. Biking beyond the intended path and outside of opening times is punishable and turns us into illegal bikers. e.We are guests in the forest and behave accordingly, including vis-à-vis forestry and hunting staff. Whilst mountain biking, mobile telephones and music players are forbidden! Biking requires your full attention. f.Avoid unnecessary noise. Out of consideration to the animals living in the wild, we only bike during full daylight. As a principle, we always wear our helmet (even when riding uphill)! Don’t forget emergency supplies: We always have a repair set and bandages along. g.Don’t overestimate your skills: We should not overdo it when it comes to biking technique and physical fitness. Take the level of difficulty posed by the route into consideration and make a precise estimate of your experience and skills as a biker (braking, bell, lights)! h.Close gates: We approach grazing livestock at a walking pace and close every gate behind us. We should avoid causing escape and panic reactions in the animals. Nothing stands in the way of the fun and athletic challenge in the mountains and forests! i.Traffic rules: The general traffic rules (StVO) apply for all the mountain biking routes and we adhere to them. Our bike therefore needs to be in perfect technical condition and equipped in line with the traffic rules, including brakes, a bell and lights. We inspect and service our mountain bikes regularly anyway. 5.We assume no liability for the contents of external websites; in particular, we assume no liability for their statements and contents. 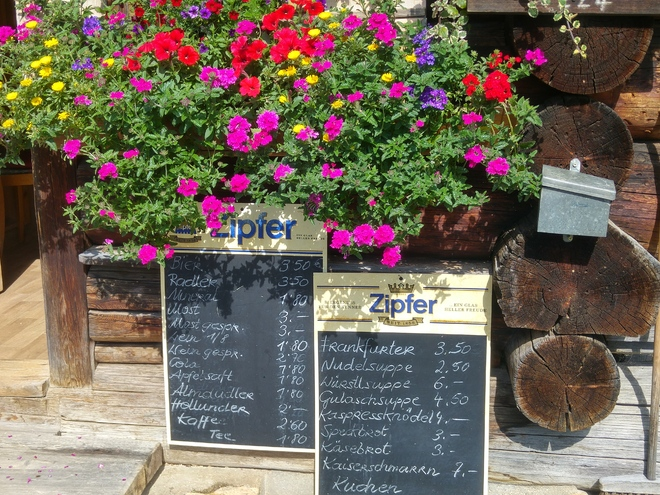 Moreover, we have no influence on the design or contents of the websites to which hyperlinks on www.upperaustria.at lead or from which hyperlinks lead to www.upperaustria.at. There is no on-going review of websites to which hyperlinks on www.upperaustria.at lead or from which hyperlinks lead to www.upperaustria.at. We do not appropriate the contents of websites to which hyperlinks on www.upperaustria.at lead or from which hyperlinks lead to www.upperaustria.at. 1. Each of your tour recommendations for hiking, walking, biking and road biking, mountain biking, motorbiking, horseback riding, climbing, cross-country skiing, and going on skiing and snowshoe tours etc., along with other details and information, is free of charge. In particular regarding the correctness of the information, we assume no liability, nor do we assume any liability whatsoever for the consequences of the use of your tour recommendation by a third party (in particular by a user of this website). We do not review the tour recommendations you post, including other details and information, at any time. We have no intention of concluding a contract with persons who post tour recommendations and/or other details and information on this website. Posting data (information) does not imply that a contract has been concluded. By recommending a tour, we assume special responsibility vis-à-vis other athletes. Please take this responsibility seriously and describe your tour recommendation with utmost care and to the best of your knowledge and belief. If possible, please provide the change in altitude. 3.When you post a tour recommendation, you give us the order to save your tour recommendation and/or the details you provide on our website and to make it/them accessible to third parties, in particular to users of this website, in the long term. We reserve the right to block or delete tour recommendations and/or other details and/or information that you post, either partially or entirely, at any time without providing a justification. Should this occur, it grants you no rights whatsoever. 4. We are not responsible for the contents of external websites; in particular, we do not assume any liability for their statements or contents. Furthermore, we do not influence the design or contents of websites that can be accessed from www.upperaustria.at via hyperlinks or that use hyperlinks to refer to www.upperaustria.at. 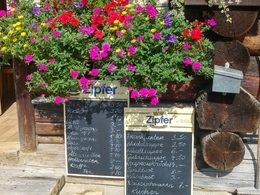 The websites that can be accessed from www.upperaustria.at via hyperlinks or that use hyperlinks to refer to www.upperaustria.at are not regularly monitored. Furthermore, we do not assume any claims to the websites that can be accessed from www.upperaustria.at via hyperlinks or that use hyperlinks to refer to www.upperaustria.at. The tours presented here are suggested tours that are provided free of charge. After agreeing to the terms of the disclaimer you receive detailed information such as altitude profiles, route plans, and an option for downloading files etc. Yes, I have read the disclaimer and I accept the terms and conditions.